What Are 'Host Permissions' And How Do They Work? How to manage your workflow when configuring your leave types. 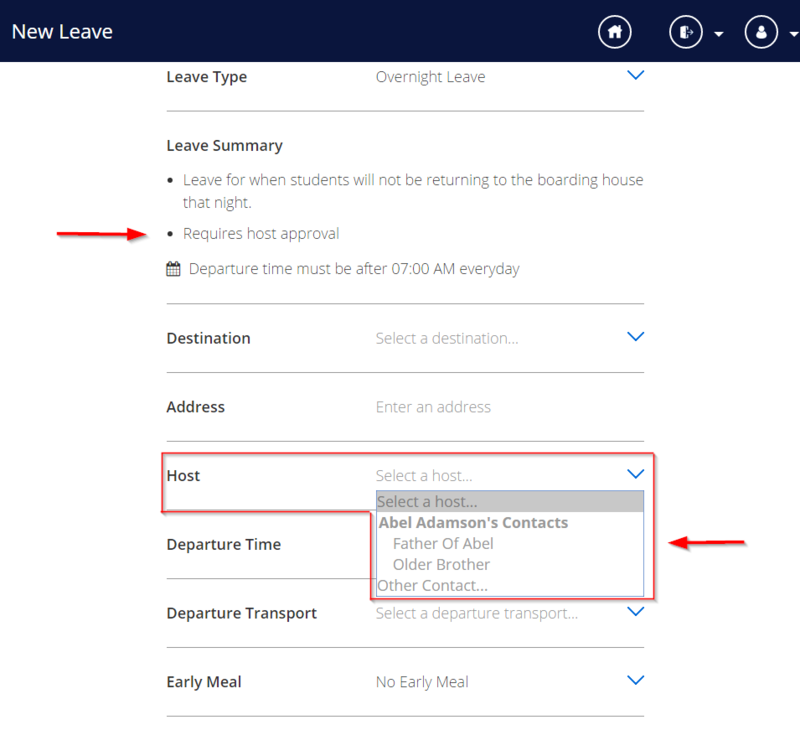 Boardingware gives you the ability to get hosts to give approval on a student's leave request. Hosts will be notified by email when there is a leave request requiring their approval. If you are not an admin user, or you know your leave type is set up correctly please skip down to the process section. Select the leave you want to add host detail to, or create a new leave type. 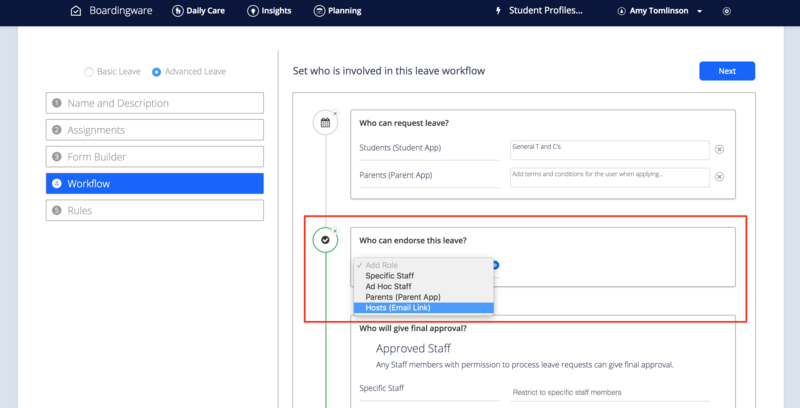 Make sure you are looking at 'Advanced Options', not 'Basic Options' In section 4, under 'who can approve this leave' please add the role of 'Host'. Screenshot below illustrates this. 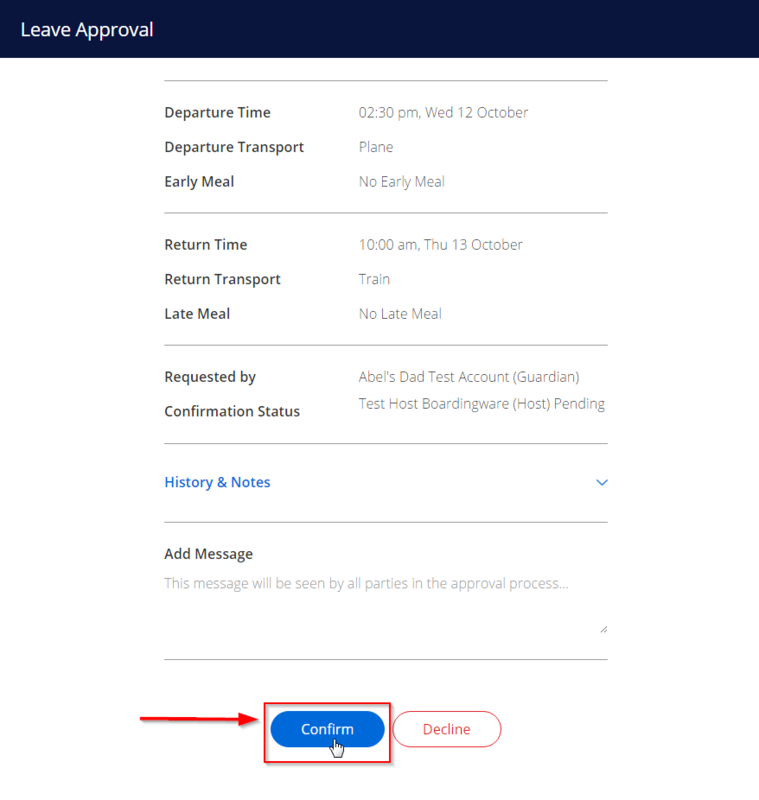 After you add this role you will see a text box appear on the right which allows you to enter your own terms and conditions which the host will see when they are required to provide approval for a leave type. - Student/ Parent applies for leave and inputs host's details. In the form either select from one of the pre-loaded contacts to be the host, or click 'Other Contact...' to fill in a new contacts details. Host will receive an email with leave information and a link to 'View Leave Request'. 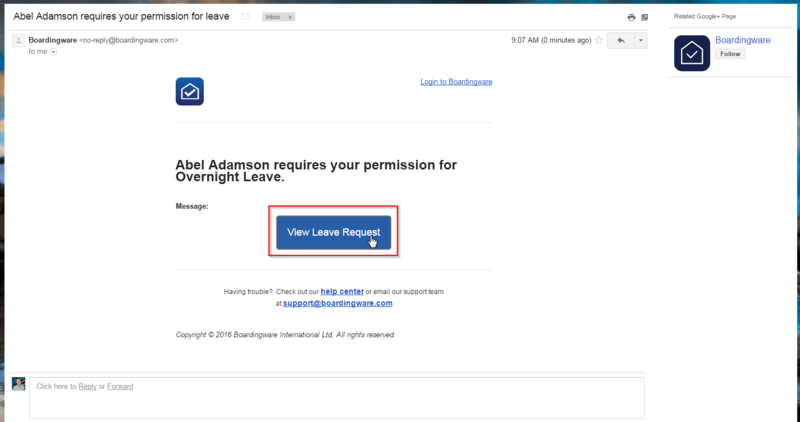 Once the Host follows the link, they have the ability to approve or decline the leave request. They can also add a message should they choose to.